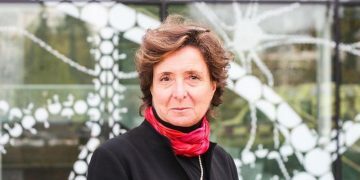 Neuroethics Canada congratulates Dr. Judy Illes who has been awarded the 2018 Patricia Price Browne Prize in Biomedical Ethics! The formal announcement is forthcoming in the Journal of the American Medical Association. Dr. Illes will receive the award at the University of Oklahoma in early 2019. The Patricia Price Browne Prize in Biomedical Ethics recognizes the importance of ethics in confronting the critical biomedical issues of the day. The goal of the Prize is to foster the development of the highest professional standards in health care through discussions of the ethical issues related to complex healthcare topics. The Prize, supported by the Children’s Medical Research Institute/Patricia Price Browne Distinguished Chair and administered through the University of Oklahoma, College of Medicine, will be presented during a visit to the University of Oklahoma Health Sciences Center Campus. The recipient is expected to deliver one formal lecture and participate in informal discussions on ethical issues with students, physicians-in-training, faculty, and the community. Her commitment to health care was constantly reflected in the numerous ways she provided leadership for causes that enhanced the health of women and children. What an amazing record of active participation she illustrated. She was president and a founding board member of Children’s Medical Research Institute, a co-founder of the University of Oklahoma Institute for Breast Health and a founder of the Friends of the Institute for Breast Health and served as its first Chairman. Patricia co-founded the Oklahoma Breast Cancer Project. Because of her special commitment to health care, Patricia’s friends and family support the Prize as a fitting memorial to her legacy. The emphasis in ethics well reflects Patricia. Through her intellect and integrity, she was able to see beyond the surface and focus on what was genuine and ethical. Her compassion for serving others was based on providing a better life for all. As a tribute to Patricia Price Browne in 2003, husband Henry Browne, Jr., The Friends of Patricia Price Browne Committee, and Children’s Medical Research Institute funded an Endowed Chair in Patricia’s name to ensure quality health care for the children of Oklahoma. The chair proceeds are designated for research and education programs and to establish a biennial award in biomedical ethics to physicians, nurses, research scientists and others who demonstrate the highest professional standards in the medical or professional ethics fields. This entry was posted in awards, News Media, Uncategorized by Marianne Claire Bacani. Bookmark the permalink. Marianne Claire Bacani is an Events Director for Neuroethics Canada at the University of British Columbia.